In November 1907, J. A. Lord, editor of the Christian Standard, traveled south to attend the annual meeting of the Alabama Christian Missionary Cooperation, which was held in Jasper that year. He came away excited and very optimistic about the prospects of the progressive churches in Alabama, especially those in Birmingham and Jasper (where a new, pro-society church had just been established). I’ve been doing a lot of research of late focused on establishing the context for John T. Lewis’ arrival in Birmingham in the fall of 1907, a point at which Castleberry’s He Looked for a City disappoints. For Castleberry, the Fox Hall church simply exists. He is not interested in describing its origins or the larger religious context of Birmingham. In his telling, Lewis stepped into a vacuum when he held that first meeting in Pratt City in August-September of 1907. This was Lord’s third trip to Birmingham as editor of the Standard. In this excerpt, he is talking about the five progressive (i.e., pro-society, pro-instrument) churches that existed in Birmingham, four of which had been established in the seven years prior to Lewis’ arrival. Ironies abound here, of course. At the very moment Lord wrote these words, the young John T. Lewis had just arrived in Birmingham to begin his work with the Fox Hall church. (Counting Fox Hall, of course, would bring the total number of Stone-Campbell churches in the city to six.) While Lord’s “fifty churches of Christ” never materialized, Lewis—beginning with that single, tiny church—was ultimately responsible for more than thirty churches in the Birmingham District based, albeit, on an “inadequate theory of church expansion” that Lord thought would never work. Moreover—and not to put too fine a point on it—while the first decade of the twentieth century was a flush time for the pro-society churches, never again would the expansive spirit of A. R. Moore, O. P. Spiegel, J. A. Lord, and other progressive leaders in Birmingham be fully recaptured by them. Finally, regarding Lord’s comments about Nashville. What does he know about the situation in Nashville that he’s not saying here? I’ve written here in recent months about some of the more moving stories to be encountered through a careful reading of the “News and Notes” column in the Gospel Advocate. It’s an unlikely source, to be sure, but I’ve been edified by my encounter with such stories. By the 1940s, one can detect an unmistakeable shift of atmosphere in “News and Notes.” What had once been the place where a small, committed band of evangelists shared news and prayer concerns, marriage announcements and jokes, pleas for help and so on, gradually became a bloated vehicle for self-promotion and career-building. This shift can be seen in at least a couple of ways. First, there is the fact that “News and Notes” ballooned in size during this period. By the 1940s, “News and Notes” typically took up a third or more of the total weekly page count. Most everyone wanted to appear on the page. (Incidentally, John T. Lewis was a notable exception; you’ll only find him there if he’s being mentioned by someone else.) In part, this was because such appearances, especially regular ones, were the currency of a career in preaching. It was a way to get your name out there, to break into the brotherhood of preachers, especially if you were young. 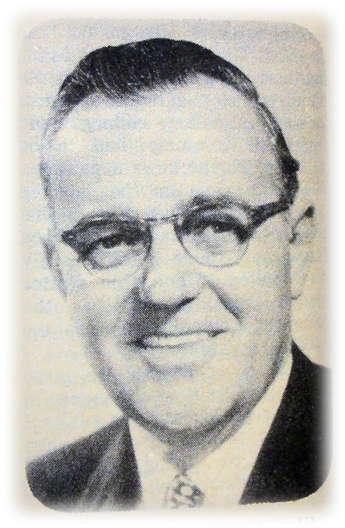 Consider the example of Birmingham preacher A. E. Emmons, Jr., preacher for the new Central Church of Christ from 1942 to 1948. During his time in Birmingham, Emmons became a regular contributor to “News and Notes.” Whether the news was significant or not, Emmons kept the statistical reports coming. These reports, whatever their intrinsic value, served to keep Central — and, just as importantly, Emmons himself — before the brotherhood as an active and growing congregation. Thus it could be seen as a kind of resume-padding. 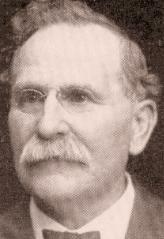 In each case, Emmons repeatedly mentions the young man’s name and compliments him on the work he did for the Central church. Such mentions in “News and Notes” functioned as a brief letter of recommendation for young preachers and songleaders from all over the country who were looking for meeting work or for a position with an established congregation. A second way in which we can see how “News and Notes” was changing is that the content of entries became more formulaic, more laconic. Individual entries came to consist largely of a tally of meeting locations, numbers baptized, numbers restored. Such information has its uses for the historian, of course. But even the detail-obsessed among us (like myself) can see that something important was lost. Gone is the personal feel of earlier reports: the request for prayers for a dying church member, the wedding and birth announcements, the family news, jokes — in short all of the little gems that one might have found there thirty years earlier. The Advocate itself, it should be noted, encouraged this change: “News and Notes” editor W. E. Brightwell (1893-1957) frequently exhorted those who sent in reports to strip out all “extraneous” details from their reports. To make clear what it was he was looking for in a good “News and Notes” entry, Brightwell ran a feature called “The Sum Total,” a context-free tally of the number of baptisms and restorations reported in a given issue. At various times, similar tallies were given for the Nashville churches. Brightwell wanted the stats; the personal stories were, it would seem, nice but unnecessary. Pryde Hinton. 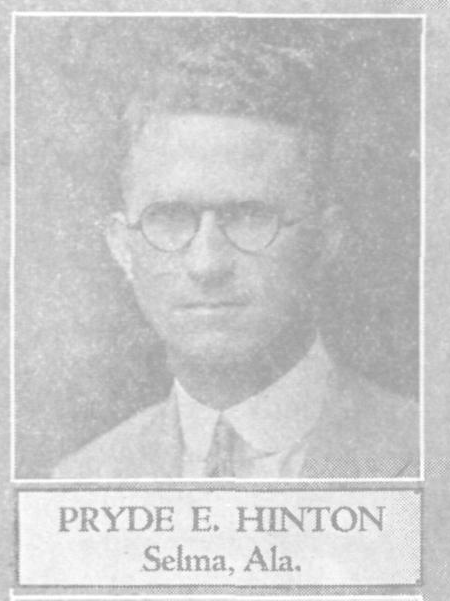 Hinton, after spending time in Atlanta and Selma in the ’20s and ’30s, settled for the bulk of his preaching career in northern Jefferson County, Alabama, around Warrior and Oneonta. He was a frequent contributor of articles to the Advocate and a close associate of the Birmingham churches and of John T. Lewis, even though they had their differences from time to time. As was true of Lewis, Hinton was hardly one to shy away from speaking his mind. Some things in the above are more obvious than the identity of a colored parson. 1. God’s grace was considered a major factor. 4. They did not tell what they had done, but “all that God had done with them.” They seemed only humble tools in God’s hand. 5. They gave God the credit for their success. He opened the door of faith unto the Gentiles. In the words of one of these preachers: “Neither is he that planteth any thing, neither he that watereth; but God that giveth the increase.” How time changes things–sometimes! If a Christian moves from Bugtussle to Peepcrack (there are such names in Alabama — well, nicknames, anyway), he should make himself known to the elders, if they are to look after his soul. But it does seem that the elders might notice that a stranger is present, talk with him, and then announce his coming to work and worship with the congregation — not that evening, for then precious few would ever know it, but next Lord’s-day morning. Or Brother Jones could come forward in “response” to the invitation. But what I still want to know is this: Why is such a change of address of any importance to Christians in Tennessee or Texas? If Bugtussle is a better church, having a stronger group of elders than Peepcrack, is not Brother Jones worse off for the move? Too, granting that Brother Jones is an asset, has not Bugtussle lost a fellow worker? Is that good news? But it does make good padding for the preacher’s report, and he must create the impression that things are happening like fighting fire, since he has moved to Peepcrack. Perhaps Brother Jones would have been left out in the cold, cold world if the preacher had not been there to grasp his hand when he came down the aisle in “response” to the invitation (either aisle). May we have more modest reports? Also I suggest that we give God credit for opening the door of faith unto people, anyway. Surely it was not altogether our irresistible personalities that won the people to Christ! God must have had some part in the meeting. — “An Interesting Report,” Gospel Advocate 88.21 (May 23, 1946): 499. Hinton wrote several of these blistering meta-level criticisms of the self-promoting fare to be found in “News and Notes.” This isn’t even the harshest one. More amazing to me is that the Advocate printed them.